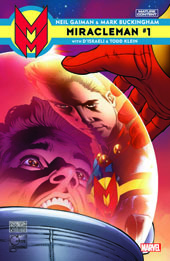 FANBOY PLANET.com . : Miracleman from Gaiman and Buckingham :. 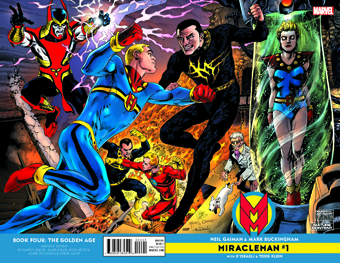 Gaiman And Buckingham Finish Miracleman! When Marvel first announced that they had resolved all the rights issues for Alan Moore's Miracleman, THIS is the moment that longtime fans had been waiting for. 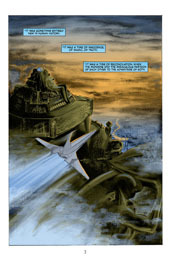 Because Moore had left the series and turned it over to his friend Neil Gaiman, who began but never got to finish the last chapter with artist Mark Buckingham, going from "The Golden Age," to "The Silver Age", and then leaving unfinished "The Dark Age." 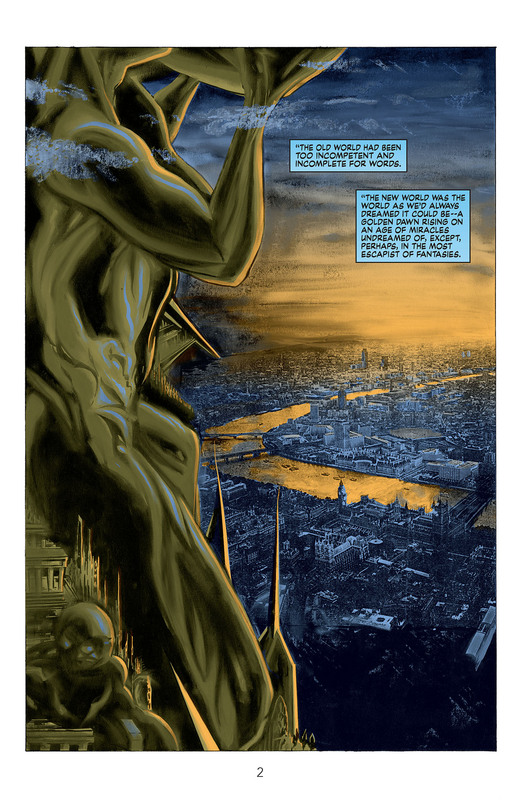 It was clear that in Gaiman's vision, the utopia brought about by this superhero turned god had more than a few cracks... and a snake was in paradise. 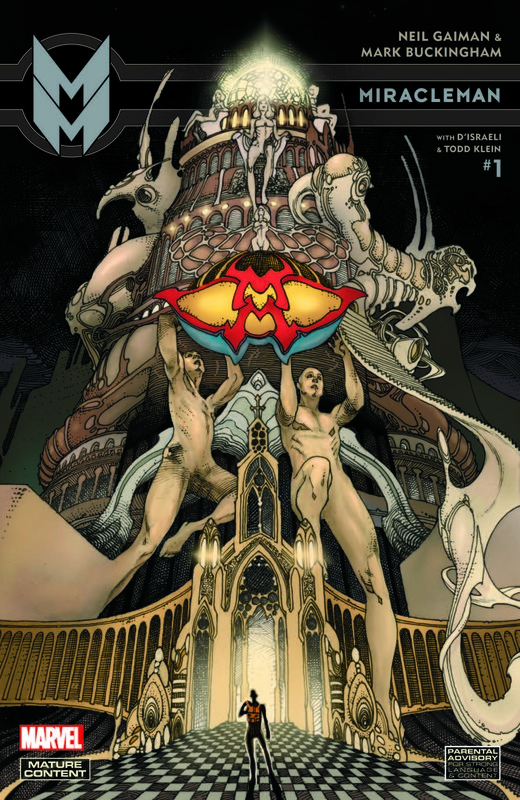 But now, after reprinting all of Moore's run with a variety of collaborators, Marvel has finally gotten around to Gaiman and Buckingham's work ... and they will see it through to the end for the first time. 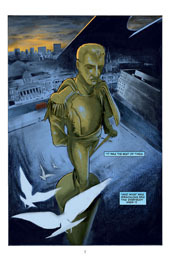 I honestly don't know how this book has read for people that had heard the legend but never encountered it before. I hope they realize how good it is. On September 2nd, two comic icons bring you the series that changed comics forever. And at long last – it will finally be complete. 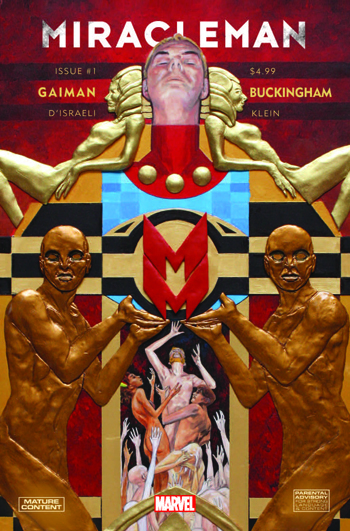 A tale that began 25 years ago begins anew this September in MIRACLEMAN BY GAIMAN & BUCKINGHAM #1! 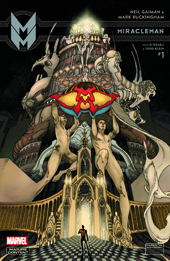 Visionary comic legends Neil Gaiman (Sandman, 1602) and Mark Buckingham (Fables) bring you a new Age of Miracles and a story of epic proportions! Kicking off The Golden Age storyline, then continuing into the famously unfinished The Silver Age & The Dark Age story arcs, Gaiman & Buckingham’s lost Miracleman story will finally see the light of day! 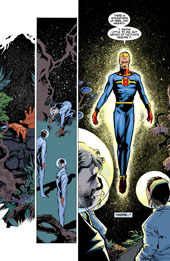 Get caught up before the September launch with Miracleman Book One: A Dream of Flying, Miracleman Book Two: The Red King Syndrome and Miracleman Book Three: Olympus – available digitally and wherever books are sold!